A portrait of Ralf Graebner with 3 of his works. 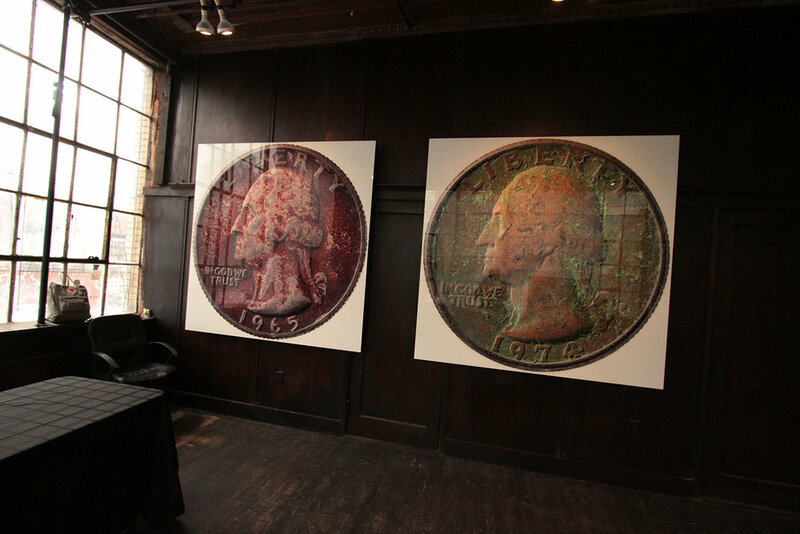 "Change" is a series of very large and detailed photographs depicting used American quarters that he found on the streets of New York City. 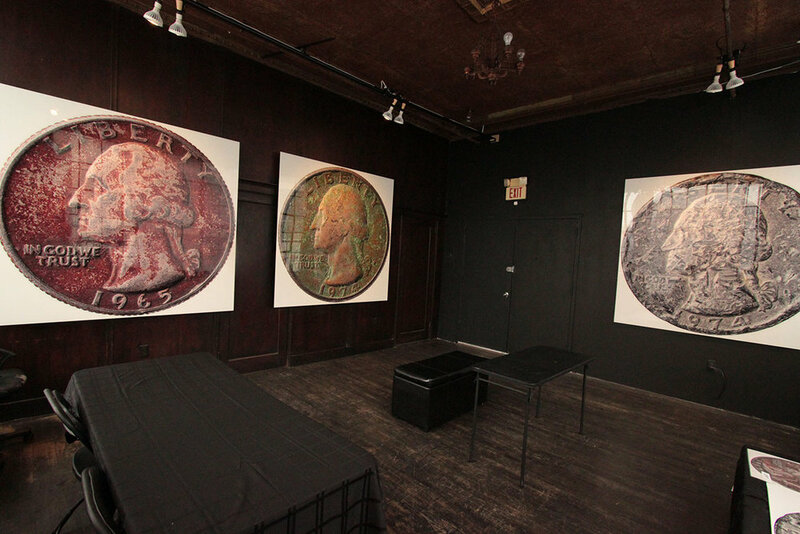 For Ralf Graebner, these coins are precious little artifacts that captured time, conveying a facet of our history. He is fascinated by their metamorphosis, from looking identical when they were minted to becoming unique, wildly differing objects over time. 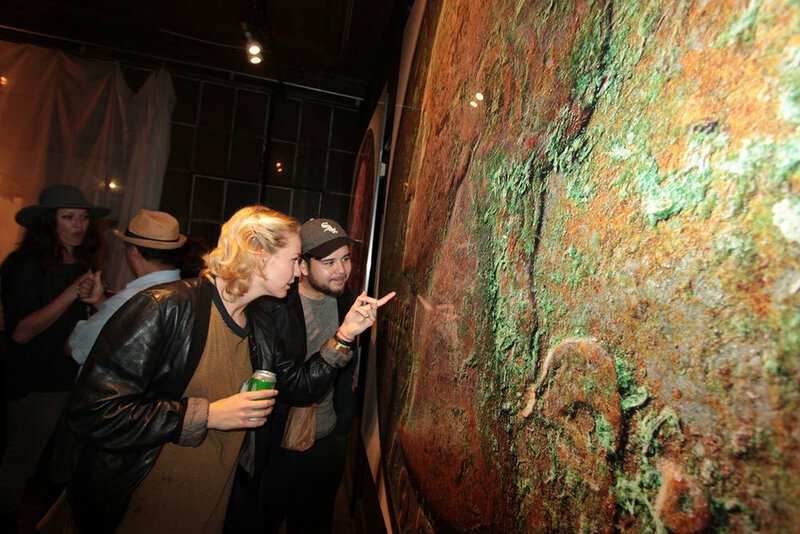 Each final image is composed out of thousands of thin image slices, resulting in prints with an unfamiliar visual richness, presence and three-dimensionality. Ralf Graebner studied photography in Germany where his personal vision was influenced by the style ‘New Objectivity’ and by photographers like Bernd & Hilla Becher, Thomas Ruff and Andreas Gursky. New York is his home since 1999. 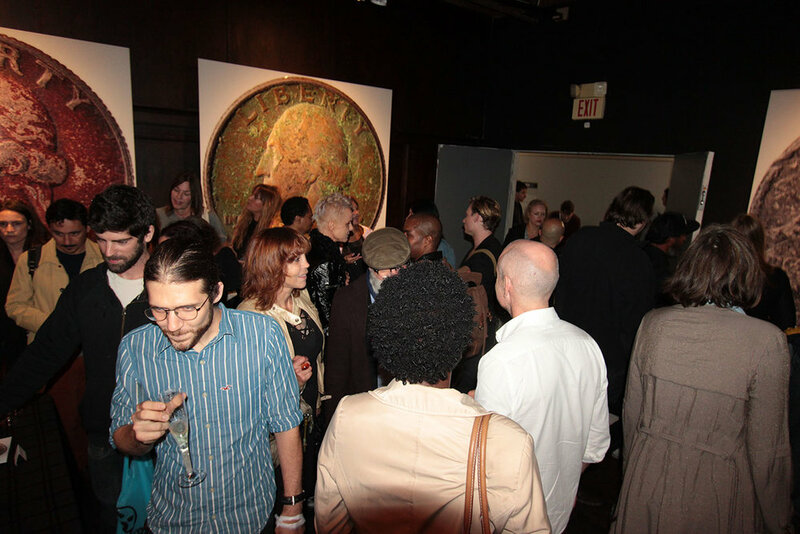 "Change" will be on display during Bushwick Open Studios event: Sept 30th.-Oct. 2nd.